oldies. with my oldie crappy camera. i apologize about the quality of these pictures. 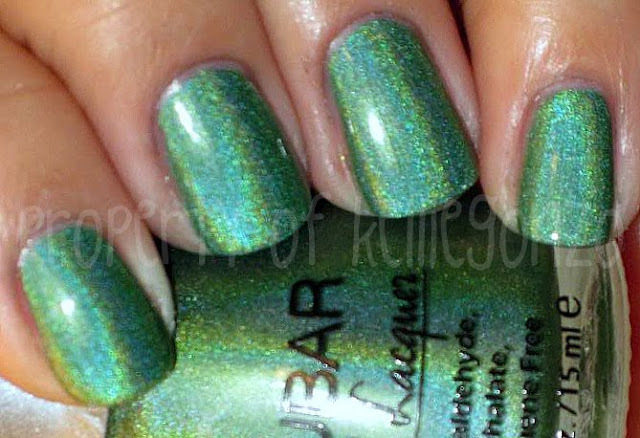 i took a ton of swatch pictures with the craptastic thing. so i am finally getting around to posting them. 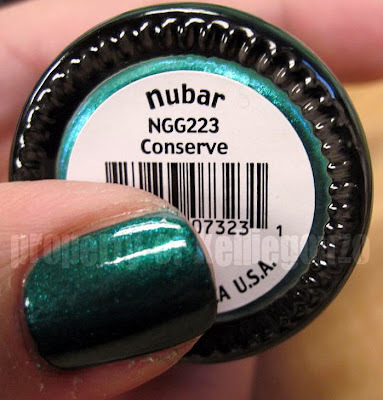 this is nubar conserve. 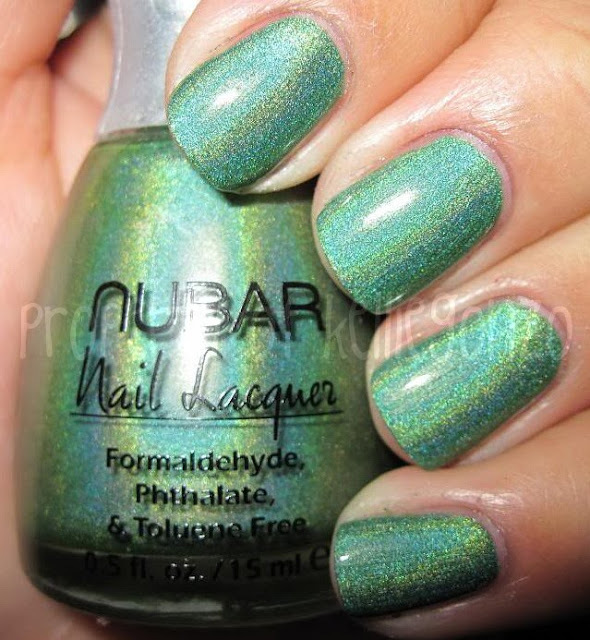 (i borrowed these from my friend mickelle :D) it is a lovely blue-green with slight shimmer sheen that came out in nubar's "going green" collection last year. 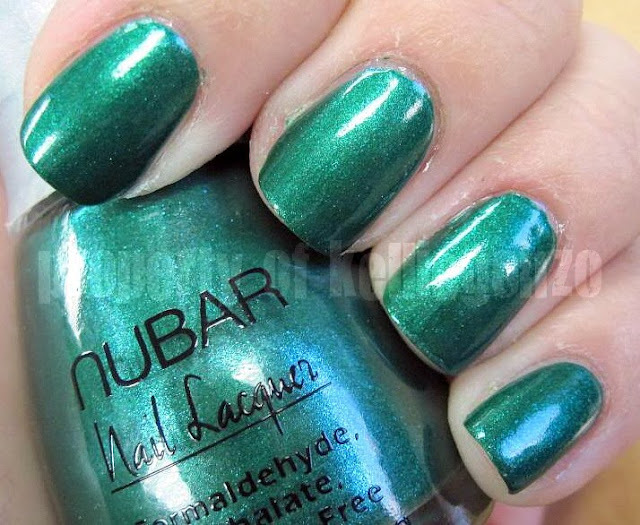 it's not really my color, but a very nice medium cool green. 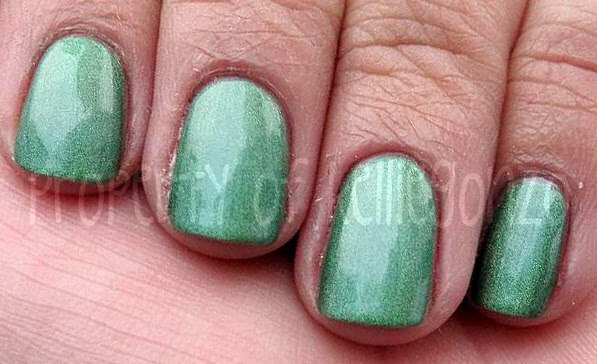 this swatch is two coats. 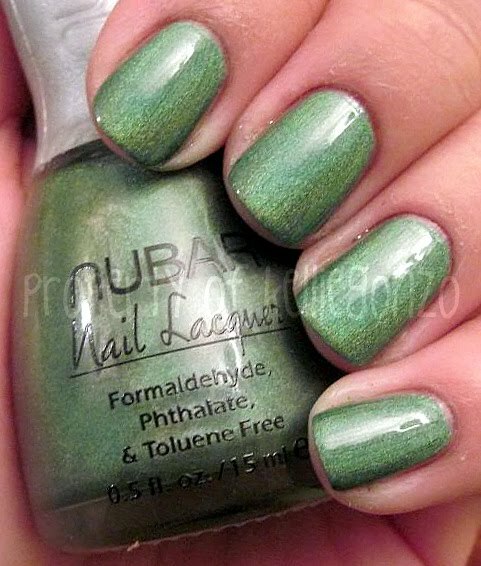 again, *BLECH* about the pictures. my hands do not usually look so lobstery or weathered or yucky. hope everyone's monday is going well!